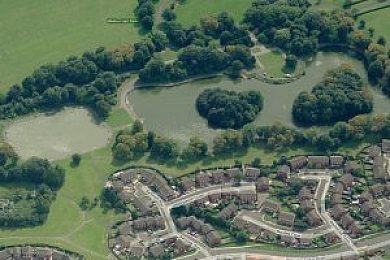 How can we save Liverpool’s green spaces? Liverpool IWW held a second successful event in our ‘One Big Discussion’ series of events at Liverpool Central Library on Thursday, 21st April. A dozen people showed up to air their thoughts on the subject ‘How can we save Liverpool’s green spaces?’, and the talk lasted right up to the library’s kicking out time. Liverpool’s green spaces are facing an unprecedented challenge, with Labour mayor responding to the council’s funding crisis by selling off public assets to big developers such as Redrow. He claims the city needs more housing, but in reality, there are enough empty houses to easily keep a roof over the head of every one of the area’s spiraling homeless population. Those places just need doing up. There’s absolutely no sense on tearing out the city’s lungs, at a time when there’s a huge public health crisis due to poor local air quality. Perhaps the most important thing about the meeting was that people interested in the subject, many of whom had never met before, came together to learn from each other, feed of each other’s anger, and make connections which could bolster resistance to Mayor Anderson, Labour, and the whole local elite over the coming months and years.